If you’re still not quite ready to upgrade from VI 3.x to vSphere, time may be running out on your ESX hosts to stay “current” inside of VI3 unless you act before June 1, 2011. If your VMware VI3 hosts have not been patched since November of 2010, you are at risk for losing update/patching capabilities unless you apply ESX350-201012410-BG before the deadline. This patch ONLY addresses the expiring secure key on the ESX host which will otherwise become invalid on June 1, 2011. Note: As part of the end of availability for some VMware Virtual Infrastructure product releases, the ESX 3.5 Update 5 upgrade package ESX350-Update05.zip has been replaced by ESX350-Update05a.zip in order to remove dependencies upon patches that will no longer be available for download. Hosts upgraded using ESX350-Update05a.zip are equivalent to those upgraded using the older package, but patch bundles released before ESX 3.5 Update 5 will not be required during the upgrade process. Today, VMware announces the release of vSphere 4.0 Update 3 (U3). Many, many fixes and enhancements – some rolled-in from (or influenced by) vSphere 4.1. 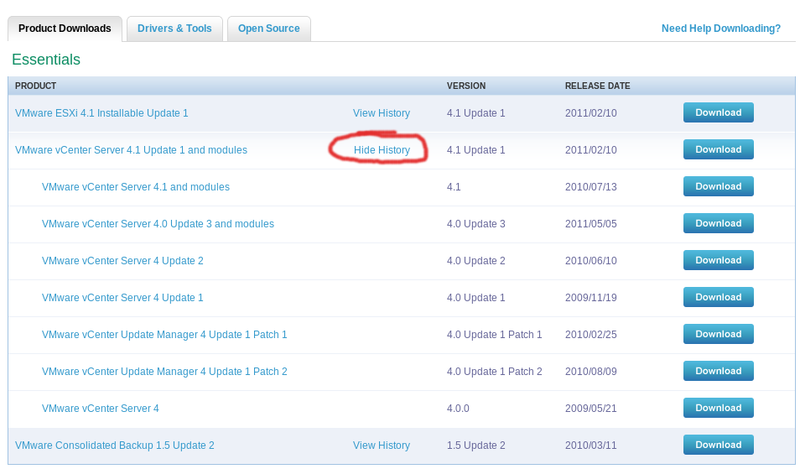 Updates to ESX, ESXi, vCenter and vCenter Update Manager are available now (see below for links). For more information about using IBM DB2 – 9.7.2 database with vCenter Server 4.0 Update 3, see KB 1037354. Additional vCenter Server Operating System Support: You can install vCenter Server on Windows Server 2008 R2. You are currently browsing the SolutionOriented Blog blog archives for May, 2011.